You are here: Home » GENRE » Anime/manga » Manga is Magnificent and Meaningful at the British Museum (event news). Manga is Magnificent and Meaningful at the British Museum (event news). Visually immersive, in manga, the images rule supreme. The Japanese characters for manga actually translate as ‘pictures run riot’ or ‘pictures unbounded’. But how do you read it? And when did it emerge? 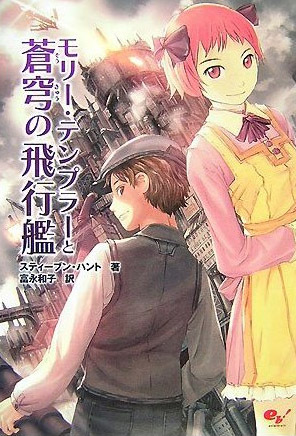 You can find out at the British Museum‘s new upcoming manga exhibition – titled, rather appropriately, Manga – due to headline in London, UK, from the 23rd May to the 29th August 2019. As you’ll find out, manga’s roots can be traced back as far as 1200 AD through to the 18th century artists who created illustrated novels that commented on contemporary society (as in the work of Santō Kyōden). The form as it is known today, emerged in newspaper cartoon strips in the 1920s. Manga is now a multi-billion pound industry, available in many formats and languages. Traditionally, manga books are opened with the spine on the right and read from the top right corner to the lower left corner of a page. Stephen Hunt’s ‘The Court of the Air’ – goes Japanese. Sound effects like onomatopoeia are often drawn into the composition of manga, making them part of the image. Different strands of manga have evolved for different audiences – shōnen manga is aimed at young men, while shōjo manga is targeted at young women. Manga-influenced comics, among original works, exist in other parts of the world, particularly in Algeria (DZ-manga), China, Hong Kong, Taiwan (Manhua), and South Korea (Manhwa). « No Way by S.J. Morden (book review).